Digital attribution only gives you a portion of your data – offline tracking is needed for offline marketing campaigns. What are two things that have been around long before the internet yet are still highly useful in your marketing tactics? Direct mail and call tracking. (I may have given that one away simply by the title). If you are direct mail marketer or utilize direct mail campaigns for your business, call tracking is vital to determine the success of your pieces. Take the guesswork out of their performance and look at the real data to determine success. Ultimately, you want consumers to call your business and set an appointment with you based off of your direct mail piece, right? Here’s how to determine the success of your next direct mail campaign with call tracking in a few simple steps. Simply provision or request a unique local or toll-free phone number labeled accordingly for your direct mail campaign. Make sure your number routes to the target phone line that you want to receive calls (probably not your mobile phone). 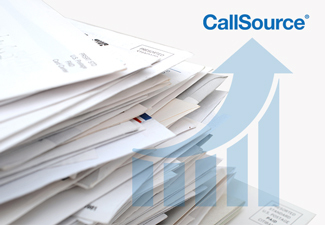 Once your unique call tracking number is provisioned and labeled correctly within your call tracking system for reporting purposes, use that phone number on your direct mail collateral. When the campaign has run its course (you should define start and stop dates before the campaign begins), pull reporting specific to that call tracking number through your call tracking service. Make sure that you set out specific metrics for success before and see how well your direct mail campaign measured up. By using these metrics, you can see if you should repeat, or what to fix for your next direct mail campaign. Want to learn more about call tracking? Speak to one of our representatives now.